Do you see yourself as unstoppable? Do you have the confidence to just conquer your day like it’s nobody’s business? Well, I truly believe you DO have an unstoppable force inside of you. 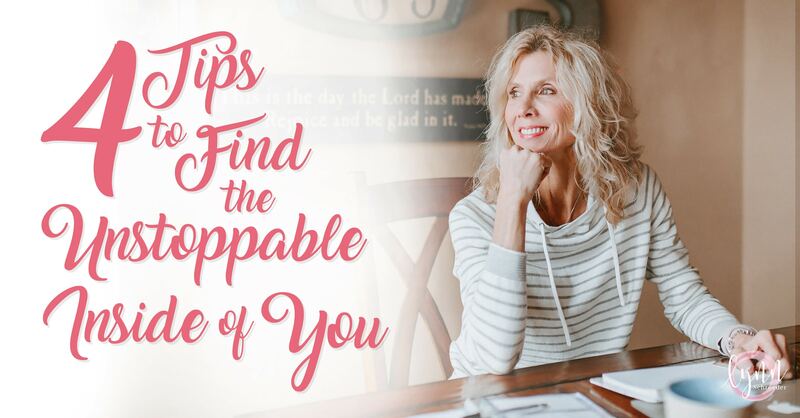 Today I want to share with you 4 tips to help you become the unstoppable you. Recently I had a conversation with a woman whom I haven’t seen for a number of years. She told me that I’m not the same woman she knew years ago. I had to smile, because I knew exactly what she was getting at. I’ve been told that before. Now, I say this humbly – but I know what people are talking about when they tell me this. In the last 7 years, I’ve dug so deep to find the unstoppable resilient Lynn that has always been inside of me. Prior to 7 years ago, I was doing things that were just in my little bubble and comfort zone. I home-schooled all three of my children. I was a teacher for a number of years, so I knew what to do, and I loved doing it! But my life was all within my little bubble and zone of comfort. I had to step out of that zone of comfort and begin doing things I wasn’t used to. I now own my own business, and I also started my own coaching business. I’ve been very blessed by my businesses, both emotionally and financially, and have in turn found my true unstoppable self. I want to share these tips with you, because I promise you that you have that unstoppable inside of you too! 1. Surround yourself with a tribe that gets your vibe. That’s probably a term that’s become pretty popular in the last few years, but it’s true. You are the average of the 5 people you spend the most time with. On a personal level, I have to make sure I spend time with people who get me. I travel with 7 ladies who just get me, warts and all. On a business level, I have to do the same thing! I must make sure that I really inspect my tribe from time to time. I look at them and make sure it’s people who will build me up, and I’ll build them up in return. I need to make sure I only allow people in my space that will edify me. I don’t want to be around people who bring me down. Who make excuses and complain a lot. I like to inspect my tribe every now and then and only allow people into my tribe who will be good for it. I want you to inspect your tribe too. Who are you spending the most time with? Ask yourself that. Are they lifting you up, or bringing you down? 2. Surround yourself with affirmations. What is an affirmation, you wonder? It’s a confirmation or ratification of the truth. It can be verbal or written. I’m more of a visual and auditory learner. In my office, I have affirmations all around me, and I use them as ratifications of the truth! I even have a giant chalkboard on which I’ve written affirmations to myself. They lift me up and edify me. I actually have a set of mp3 affirmations that will be delivered to your inbox, if you want them! I’d encourage you to check them out – we all need to hear the spoken truth about ourselves. I also have written affirmations coming out, so stay tuned for those. I just have to have these affirmations around me in order to keep me on track. That’s what helps me become unstoppable. Who needs lies put into their brain? I don’t want that negativity. I want affirmations that increase my unstoppability. 3. 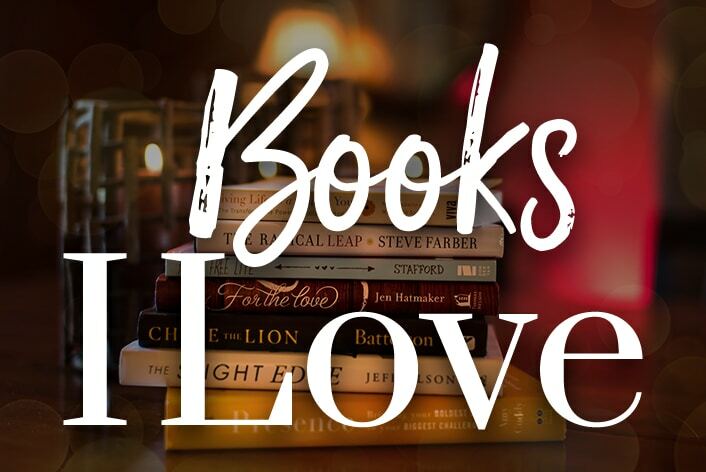 Listen to podcasts, watch Ted Talks, and read books. I use these as a way to build up my unstoppable self. I don’t spend 24/7 on these, because I just don’t have the time, but I squeeze them into the nooks and crannies of my day. A podcast during a workout. Listening to Ted Talks in the car. I promise you, you can find a few minutes throughout the day to squeeze these in too! Have you ever listened to John O’Leary’s Live Inspired? He’s a local St. Louis man, and he invites guests that inspire him. They’re so amazing! Marie Forleo has another great one. She says, “The world needs that special gift that you have!” That’s my love language! She’s all about using your unique gifts to find your purpose, just like I am. Amy Jo Martin has a great podcast called Why Not Now. I just love her. She has guests that disclose that moment in their lives that made them realize, why can’t I do that now? What’s holding me back? Speaking of YouTube, I have my own YouTube channel! Did you know about that? I post the live videos that I do on my Facebook pages to my YouTube channel. Please check it out! Make sure you click on “Subscribe” so that you get notified when I post a new video. I hope you can find some inspiration from that as well. These podcasts, Ted Talks, and books all speak to me and help me on that goal to be unstoppable. 4. My final tip is to start your day off the right way. I don’t know about you, but I just cannot put my feet on the floor and get going. I have to make my coffee, sit very quietly, and reflect for a bit first. I am a total morning person, so I do this first thing early in the morning. I sit quietly and just listen and gather my thoughts. I find that inner peace without my phone or other distractions. I ask myself questions. What would I do differently today than yesterday? I really talk to myself that way. I also have a playlist that helps me focus and meditate. I have some favorite music that I will play over and over on a loop while I just sit back and relax. And finally, on a daily basis, I try to head to the gym at some point. I know that in order to take care of others, I have to take care of myself first. And releasing those endorphins just automatically makes me feel unstoppable! So, those are my 4 tips for pulling out your unstoppable self. Does anything else work for you? How do you dig deep to find your inner confidence? I‘d love to hear about your ways! My challenge to you is to get out a pen and piece of paper. Make 4 columns to match these 4 tips. Make a list of each one, and fill out those quadrants to find some things that will work for you. You’ll do some introspection, and find who you are and how you can be unstoppable! I hope you got value out of this. Please pay it forward and share it with someone who may need a boost in the confidence department. I am always here to edify you and lift you up whenever you may need it. And I will repeat over and over, I truly believe you can be unstoppable! Loved this! It really made me think… especially about ‘my tribe’. I’m not sure if mine is intentional or just what life provided. Was yours intentional? I really need to contemplate this one….. Yes, for about the past 10 years I’ve been intentional about who I spend time with…don’t get me wrong…I’ll include anyone and never feel like I’m better than someone else, but I’m selective on who will build me up/support me snd that I can likewise do the same for them. I’ve also noticed that different seasons may bring different tribes to my life. I miss seeing you, btw!